Police in London are investigating a second allegation of sexual assault against actor Kevin Spacey, British media reported Wednesday. The Metropolitan Police force said it had received a complaint "of sexual assaults against a man" in 2005 in the London borough of Lambeth. The force didn't identify Spacey as the alleged perpetrator. British police don't name suspects until they are charged. But it said the same man was accused Nov. 1 of another assault in 2008, also in Lambeth. The suspect in that case has been widely named in British media as Spacey. "Officers from the Child Abuse and Sexual Offenses Command are investigating," the force said in a statement. A two-time Academy Award winner, Spacey was artistic director of London's Old Vic Theatre between 2004 and 2015. The new allegation was made to police a day after the Old Vic said it had received 20 claims of inappropriate behavior by Spacey and it had encouraged 14 of the complainants to go to the police. The theater launched an investigation into its former leader last month after American actor Anthony Rapp alleged that Spacey had climbed on top of him on a bed when Rapp was 14 and Spacey 26. The Old Vic said it received the claims of inappropriate behavior in recent weeks, although the alleged incidents were said to have taken place from 1995 to 2013. It said many of the alleged incidents took place at the theater — located in the borough of Lambeth — and involved members of staff. Only one of the alleged victims reported the incidents at the time. 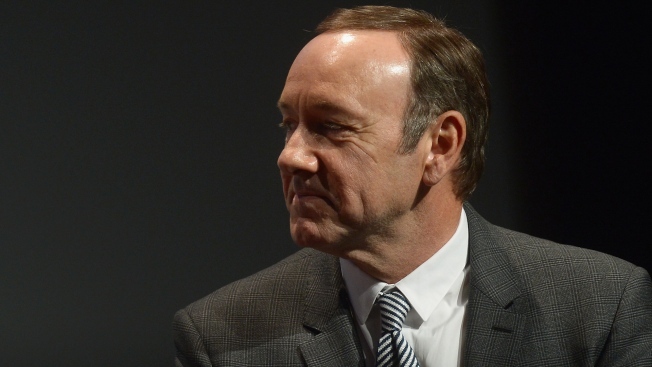 The Old Vic said a "cult of personality" around Spacey had discouraged people from speaking out. In the past few weeks Spacey has been fired from the Netflix TV series "House of Cards," was dropped by his talent agency and publicist and is being cut out of Ridley Scott's finished film "All the Money in the World." Spacey apologized to Rapp Oct. 30 for "deeply inappropriate drunken behavior" and later released a statement saying he was seeking unspecified treatment. He has not commented on the London allegations, and the Old Vic says he did not respond to a request to participate in its investigation.